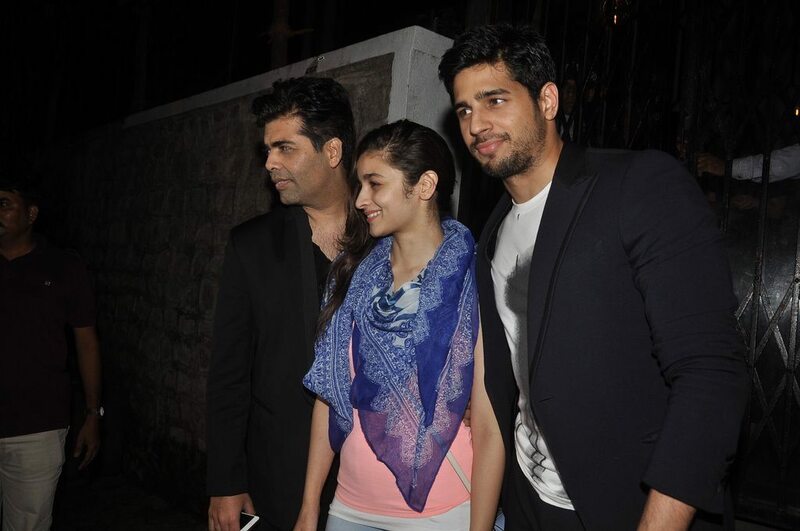 Alia Bhatt, Sidharth Malhotra and Karan Johar catch up with dinner. 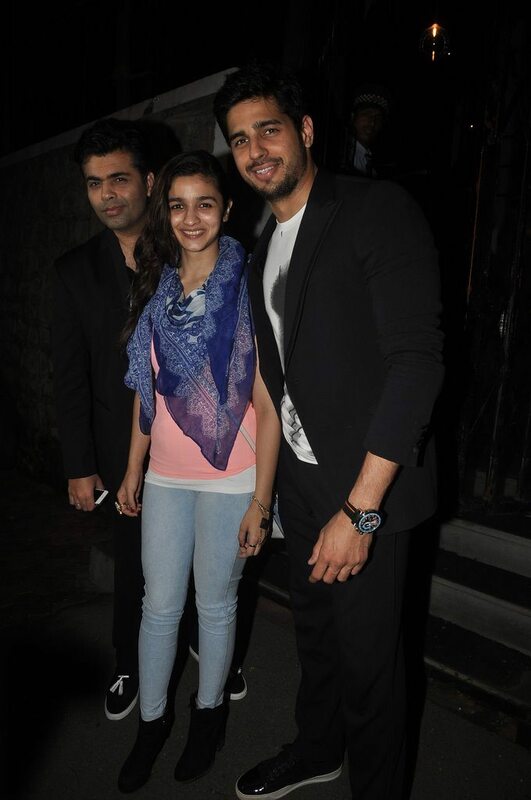 Shutterbugs caught up with ‘Student Of The Year’ trio Alia Bhatt, Karan Johar and Sidharth Malhotra as they exited Lido after a cozy dinner, in Mumbai on July 22, 2014. Alia donned her usual casual but stylish look, while Sidharth looked his stylish best in a fitting blazer and trousers. Alia and Varun’s ‘Humpty Sharma Ki Dulhaniya’ has managed to make big money at the box office, while Sidharth’s ‘Ek Villian’ has also joined the Rs. 100 crore club. Alia has recently signed the movie ‘Shaandar’ by Vikas Bahl, which is a destination wedding movie opposite Shahid Kapoor. The actress will be seen playing the role of an insomniac.